The wife and stepson of Ku Klux Klan ‘imperial wizard’ Frank Ancona have been arrested on first-degree murder charges after an autopsy revealed that his death was intentional. Malissa Ann Ancona, 44, and her son, Paul Edward Jinkerson, Jr., 24, are being charged with first-degree murder, tampering with physical evidence, and abandonment of a corpse. Both defendants are being held without bond, and are expected to be arraigned as early as Tuesday. A probable cause statement released by the Leadwood Police Department on Thursday says that Ancona was shot and killed inside his home, before his body and vehicle were abandoned near the Big River outside of Belgrade Missouri, according to The Daily Journal. Ancona’s wife Malissa said he left home after being called to work to make an out of state delivery of car parts. According to police, no such call was made, however, and his place of employment had reached out to Leadwood Police Department citing concerns about his whereabouts. His wife said he took all of his firearms with him when he left, although other members of his family have disputed this. He left a handgun he usually carried with him in the house, which his wife handed over to the police. Police said a safe in the Anconas’ home had been opened with a crowbar and emptied when they arrived at the house. On Saturday, Washington County Sheriff Zach Jacobsen, posted a Facebook message, reporting that Ancona was discovered, along with his abandoned vehicle. He also said that two search warrants were issued, and an arrest was made. When questioned, Malissa first told authorities that she last saw her husband on Wednesday when he left the state on a delivery as a part of his job. She informed them he took all of his guns with him and planned to file for a divorce when he came back. Searching the home, investigators found “extensive blood evidence” in the master bedroom of the home, as well as evidence that Ancona’s abandoned car had been “wiped down,” according to St. Louis Today. After the evidence was found, Leadwood Detective Matt Wampler questioned Malissa Ancona again, who then admitted that her son shot her husband and that they both cleaned up the blood and tried to cover up the crime. Mahurin says that Ancona may have been murdered because he wanted a divorce. “It may have been a marital issue,” Mahurin told the St. Louis Post-Dispatch on Monday after filing murder charges. He said Ancona was shot in the head between two and three in the morning on Thursday. 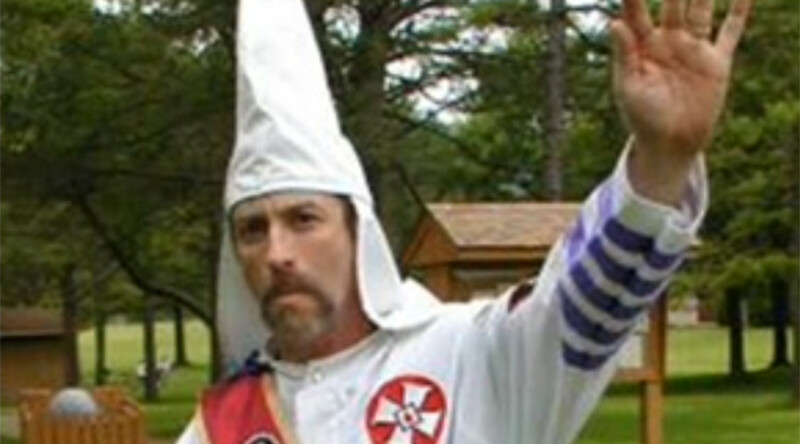 Ancona has made numerous media appearances, and previously claimed the KKK is not a hate group. During the 2014 Ferguson protests over the police killing of unarmed black teenager Michael Brown, Ancona referred to demonstrators as “terrorists” and said the KKK would use lethal force to defend against the protesters.